Boker Top Lock II automatic conversion. Words cannot describe the excellent quality of this knife. It will serve you well for years. Solid craftsmanship, fast action, and solid lock-up make this knife a winner. 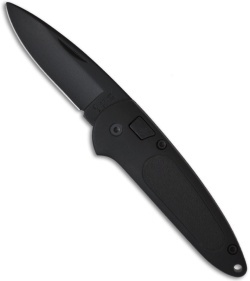 Manufactured by Boker. Comes with a black two-way carry sheath. 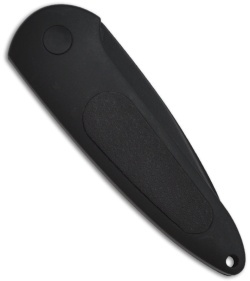 440 black coated blade (plain). Don't lose this knife in the dark... you'll never find it. All black tactical design.